Believe it or not, there was a time when I would do a full face of makeup and not touch my brows. It seems unfathomable nowadays when bold brows are so in, but I was convinced that pencils would make me look menacing (some of these brow trends do tend to achieve that, don't they? Haha!) and so I just skipped them altogether. These days I've come to realise that while natural brows still look super pretty, I need some definition and bulk added to my sparse, unplucked brows. So I tend to look for products that will add some colour without being too harsh on my largely non-existent brow hairs and something precise and quick to use because I can't be faffing about with concealing the brow bone or playing with unforgivable pomades and such. This is why I much prefer tinted brow gels/mascaras, eyeshadows as brow powders and pencils which aren't overly pigmented. I also use a brow dye every few weeks which gives me a natural defined finish but doesn't fill in the sparse areas so I still need some help from makeup. This is my favourite brow pencil and I've purchased it a good few times too. It's absolutely dinky, comes with a spoolie on the other end and is retractable meaning that it's super convenient to use and travel with for people who hate sharpening pencils, like me. The pencil formula isn't too soft or too hard and allows a fair amount of precision for drawing in some brow hairs or defining the tail. The shade is perfect for me as it isn't too cool or dark and helps me create the illusion of fuller brows with ease. I use this brow gel almost every single time I fill in my brows with any powder products. It helps disperse the brow powder from being too concentrated in any one place, making sure my brows never look overdone or overly unnatural. I will also sometimes use it to set any tinted brow gels if I know I need my makeup to last for a long time. The formula dries quickly and doesn't make my brows feel crispy. You can get clear brow gels from any or most makeup brands but this just happens to be the one I have and I enjoy using it. 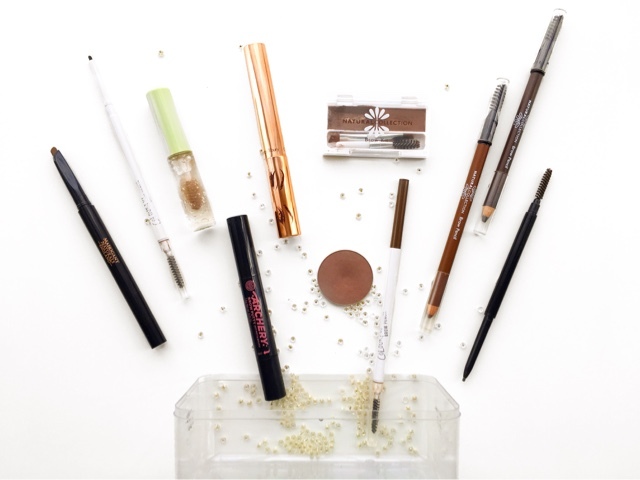 There are two other brow products that I love and have to include them in this list of LOVES. One is in an eyeshadow palette and the other I've used up and haven't yet repurchased. Natural Collection Eyeshadow - Crushed Walnut was my brow product of choice for a whole year and I will definitely pick this up again because the shade works so well for me. I then started using Too Faced Sexpresso from my Natural Matte Palette. I love it for when I want my brows to look bolder than usual, and have actually hit pan on it from using it to fill in my brows so much. This brow pencil is good value for money, comes with a convenient spoolie on the top and the only reason this doesn't rate higher is that it needs sharpening, otherwise it would be at the top list too. 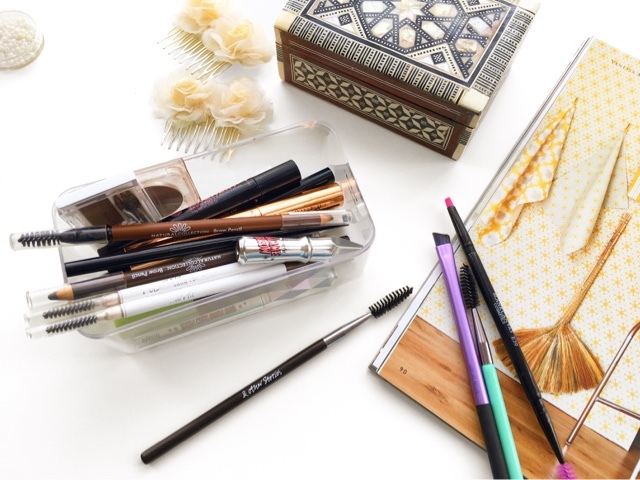 The pencil isn't overly pigmented which gives me great control and is that perfect brow pencil texture, not too hard that it hurts to press on the skin and not too soft that it's just glides right through drawing on the whole brow. I really like the shade on my brows too as it's very similar to Soap & Glory Hot Chocolate. Thankfully this one is retractable and I find myself reaching for this a lot recently. This also has a spoolie which is always convenient and the shade helps my brows look full without looking over-drawn. I like the angled tip of this brow pencil which lets me fill in my brows and then use the sharp tip to create some definition on the arch and tip of the brow. The formula is quite waxy though and I find the pencil is quite hard which means that often when I use this a few brows hair are pulled out. That's a big downer for me. I'm not generally drawn to brow pomades or waxes as I fear they would make my brows look too dramatic or painted on. This product contains a wax and a powder, all in a teeny tiny compact complete with a miniature angled brush and spoolie. I am so glad my initial fears were proven wrong by this product because I became obsessed with the wax side of this. It's a neutral shade that isn't too pigmented and is a creamy texture that doesn't leave my brows stiff when it sets. Unfortunately I don't find the brow powder as easy to work with and it's a touch on the warmer side than works for me. This was the first ever brow pomade product I was brave enough to purchase. I've tried using it a number of timers and I just find it too intense for my brows. I can't make them not look drawn on because this is just too dark. The brush it comes with is useless because it's quite large and wide and became frayed after one use. And I mostly hate the packaging and the way that the pomade is actually packed into the lid of the tube. It makes it near impossible to get any product out with any of my brow brushes and in fact even with the brush it comes with. I haven't used this for so long now I don't even know why I'm holding on to it. As much as I like the formula of these pencils, this shade is just too warm and light for my brows. I used to use it in combination with the darker shade, and use this one at the beginnings of my brows where my brow hairs are very sparse. But the shade just doesn't work on me and is definitely one that could leave my collection. This product intrigued me when I first received it. A brow pen with an angled felt tip saturated in a tinted serum that induces brow hair growth. Sounds absolutely fascinating. Except for the fact that I'm not really used to using brow pens and just didn't like using it to draw on individual hairs. The shade was okay, a touch on the warm side which meant that in certain lighting my brows looked like they had a red undertone. I can't speak for the increase in hair growth because I didn't use it enough. 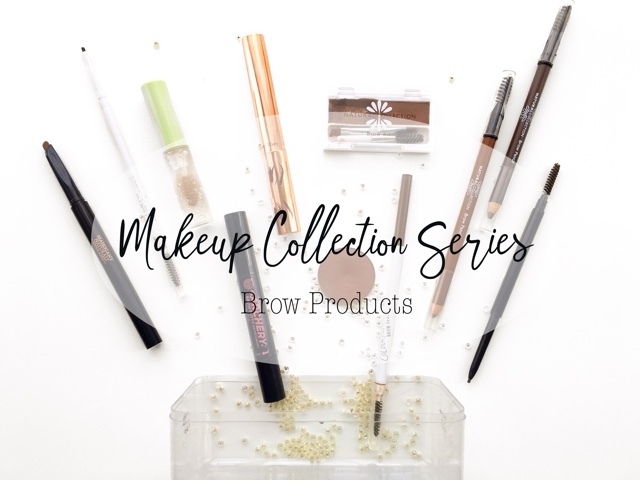 I had heard so many amazing reviews of these brow pencils and so was eager to order one and see what all the fuss was about. Its a super slim retractable pencil, with a spoolie and comes in a variety of shades. The first shade I ordered was far too dark and bold for me so I then ordered the lighter shade to that. I much prefer the lighter shade on my brows but generally feel I need to force myself to reach for these. 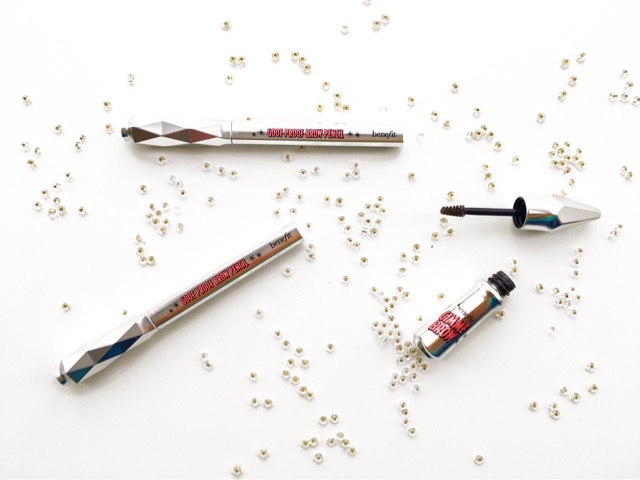 The formula is just a touch too soft and pigmented for my sparse brows so they quickly look too dramatic. The quality of the packaging is also really rubbish which is why one of the pencils has detached from the casing and with the other the lids are cracked. Another reason why I don't enjoy using them and rarely reach for them. This is an amazing product if you are looking for something to quickly bulk up your brows and keep them set in place all in one. I can imagine a lot of people would enjoy using this but for me I just find it really hard to control and end up making such a mess. The formula is super pigmented, which makes me regret resenting so many brow mascaras for not being pigmented enough...but the shade is just too dark so as soon as I run this through my brows its already far too dramatic for my liking and then I spend ages trying to brush out as much of this as I can. Its not a bad product by any means but doesn't give me the subtle definition and shading I'm looking for. When I first started filling in my brows I used this eyeshadow. I think it is now discontinued and I have had it for almost 5 years now, so this is definitely past its shelf life. I used to love using this with an angled brush to stroke on some colour to make my brows look full and defined. Lately, I just don't reach for this because its so old and also because I have those other brow filling options now. Both of these samples pleasantly surprised me and I'm so happy to have tried them like this because they are super hyped and popular in the beauty blogging world. I personally wouldn't spend quite so much on these products, especially not without trying them out first but now I would actually consider getting full sizes of both of these. Benefit Gimme Brow gives me quite a natural finish fuller looking brow. Benefit Goof Proof Brow Pencil is such a quick pencil to use to define my brows and I love the formula. NYX Micro Brow Pencil - I really want to try this dinky little number which so many people swear by. I love that its so afforadable and easy to get ahold of. It sounds like one that will compete with the Archery pencil for me. Glossier Boy Brow - This product has a bit of a cult following and I am desperate to experience why. Haha! A small brow brow brush coated in a tinted formula for some serious bulking up of the brow without looking unnatural is what I'm all about! It needs to be mine soon.